Two nightmare halves in as many games have seen clouds gather over the Etihad Stadium, while also marking an unwanted first for the manager. This week has given Pep Guardiola and Manchester City precious little to cheer, and it will go down as one of the worst in the coach's illustrious career. City appeared to be cruising to the Premier League title midway through Saturday's derby against Manchester United, as goals from Vincent Kompany and Ilkay Gundogan established a 2-0 lead. United, however, came firing back after the break and Paul Pogba's double formed the foundation of a famous three-goal comeback for the visitors. Guardiola and City needed victory to seal the crown, but they will now have to wait at least another week to close out what still seems an inevitable victory. More alarming, though, is a suddenly leaky defence that is worse than anything Guardiola has experienced. The Red Devils are the second team to put three past Ederson in the space of four days, after Liverpool crushed the Champions League hopefuls 3-0 at Anfield in Wednesday's quarter-final first leg. 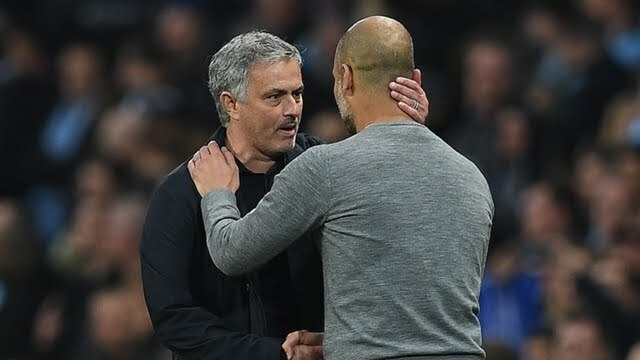 Both games betray possible lapses in concentration that have cost City dear; Liverpool's three goals came in the space of 19 minutes, while United needed a mere 16 minutes to turn things round at the Etihad. Never before, either at Barcelona nor Bayern Munich, had a Guardiola side conceded three times in consecutive games, a run that stretches back an incredible 514 fixtures. Now with the return match against Liverpool looming large on the horizon on Tuesday, the manager must hope his team shake off this late-season slump and return to their imperious best.